Two weeks ago it was widely reported that Nollywood star actress Patience Ozokwor had abandoned Nollywood for her new found faith in Jesus Christ. In a new interview with 'Star Tell' she opens up on her new religious life, how she met God, the retreats she holds and having to ditch wearing trousers, dreadlocks and jewellery. Ozokwor has now come out to deny the claim that she is now a woman of the faith and has no time for Nollywood. "Yes, God told me to dress like this. He never told me to stop acting. Don’t mind all those people who are lying. They can lie on a person who is alive much more a person who is dead. I never stopped acting, my fans gave me Mama Gee, Gee for General, I love my fans and I will still be in films" she said in a recent interview. In her interview with Star Tells two weeks ago she revealed how God spoke to her to be a voice for him all over the world. 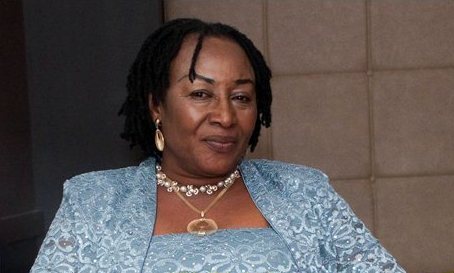 According to the site "[Patience Ozokwor] normally organises a personal retreat for herself in the first few days of the new year, when it was time to have her 2016 retreat, she heard the voice of the Holy Spirit telling her to fast for 21 days, she complained that she have so many projects to handle, Endorsements and movies to shoot within that period, and the Lord extended it to a 30 days fast due to her complaints.